In Part 1 we looked at a striking and honest Adventist acknowledgement of the type of dishonesty that forms part of Adventist culture. Here we’ll look at specific common examples of how dishonest Adventists spread fake facts and fake history. I think half the problem with Adventist dishonesty is this: they believe without questioning the absolutely infallible teachings of Ellen White passed down through their pastors and teachers. 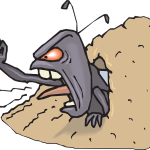 Their world-view is so narrow, and it has been entrenched in them so deeply that many are incapable of dealing with the possibility that things could be different. So when confronted with facts indicating that diverge from their world of possibilities, they close off and go into denial. And because those facts are about something they have been taught to hate and despise, they often react with venom. 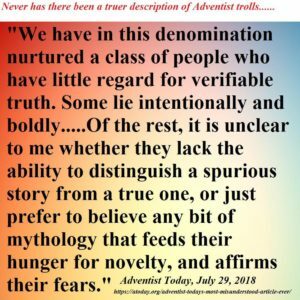 You can read more about my analysis of their dishonesty here – Shame on you – Adventists, dishonesty, and the Catholic Church. 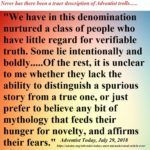 Dishonest Adventists provide all sorts of quotes from all sorts of newspapers and clergy. The reality is that none of these are from official Catholic sources. They quote newspapers. That’s like quoting a blog. There isn’t a blog on the planet that is an official voice of the Vatican and papacy. There are blogs that quote official Catholic sources, like this blog, and there are blogs that write absolute drivel, like the Adventist ones. It doesn’t take a rocket scientist to figure out that newspaper quotes are not official doctrinal decrees. They quote some sort of “catechism” from the early 1900s. Then they pretend it’s the official Catechism of the Catholic Church. They never quote an official universal Catechism such as the Catechism of the Catholic Church or the Catechism of the Council of Trent. To do so would destroy their argument. Also worth noting is that most of these are old texts written during a time where somewhat arrogant apologetics was common, and some Catholics would often phrase arguments in such a way as to emphasise the biblical authority of the Church seen in Acts 15 and ongoing today. One needs to read into these the official Catholic beliefs that a) the Apostles were the first Catholic leaders, and b) that the Apostles began Sunday observance. Disagree if you like, but to refuse to acknowledge that those are official Catholic teaching is dishonest. Even if these have a Nihil Obstat or Imprimatur, they are not ipso facto official Catholic doctrinal statements from the Catholic Church. They are just books that got the approval of a local bishop, who understood them very differently to dishonest Adventist misquoters. They quote parish bulletins. Is the local Adventist congregation’s monthly newsletter the official mouthpiece of the General Conference? No. So, likewise, parish bulletins are not the official mouthpiece of the Vatican. St Sylvester’s Parish: Who was St Sylvester? 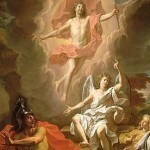 See: What Catholics Believe – Sunday observance for the evidence. The dishonest Adventists will never quote from those two real sources, unless they completely butcher the text. When confronted with these facts, some dishonest Adventists become deliberately obtuse, and change the argument to whether or not there is biblical evidence for Sunday observance. They’ve been proven wrong, but can’t admit it, so they just change their angle. Diversionary tactics. Fraudulent Clip Circulated by Adventists!! There are also quotes from Protestant sources that appear to acknowledge the same thing, or that Sunday observance is contrary to the Bible, but let’s do it anyway. 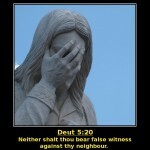 Sorry, but Protestants are not that stupid. 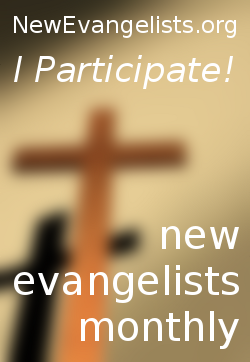 In every denomination you’ll find the ignorant who get sucked into Adventists propaganda, and both Catholics and Protestants alike have fallen prey to that – hence some of the newspaper quotes. But most Protestants who read their Bibles know perfectly well that the evidence against Christian sabbath observance is overwhelming, and one or two less educated Protestants saying otherwise doesn’t phase them. 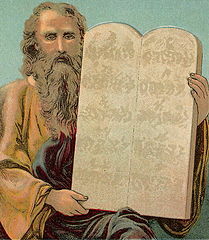 The Reformers shared that biblical understanding of the sabbath, and were quite clear about it. They were not stupid, as Adventists make them out to be. 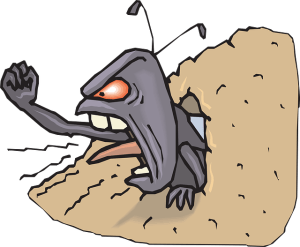 – Epistle to the Magnesians, shorter version, chapters 8-10, partial. Ante-Nicene Fathers , vol. 1, pg. 62-63. 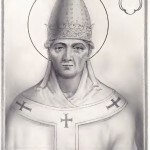 Pope Sylvester first among the Romans ordered that the names of the days [of the week], which they previously called after the name of their gods, that is, [the day] of the Sun, [the day] of the Moon, [the day] of Mars, [the day] of Mercury, [the day] of Jupiter, [the day] of Venus, [the day] of Saturn, they should call feriae thereafter, that is the first feria, the second feria, the third feria, the fourth feria, the fifth feria, the sixth feria, because that in the beginning of Genesis it is written that God said concerning each day: on the first, “Let there be light:; on the second, “Let there be a firmament”; on the third, “Let the earth bring forth verdure”; etc. But he [Sylvester] ordered [them] to call the Sabbath by the ancient term of the law, [to call] the first feria the “Lord’s day,” because on it the Lord rose [from the dead], Moreover, the same pope decreed that the rest of the Sabbath should be transferred rather to the Lord’s day [Sunday], in order that on that day we should rest from worldly works for the praise of God. Note that this was written a good 400 years after the time of Pope Sylvester I, and it’s historical accuracy is questioned by some. Nonetheless, that makes no difference to the dishonest Adventist claim being refuted. Often you’ll then hear (or see) the dishonest Adventists harp on about this amazing word – “feriae” – as if it proves something. It’s actually hilarious to see this sometimes. 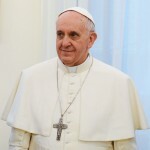 The more sober Adventists will simply show that the pope used the name “Lord’s Day” for the first day of the week, supposedly proving that THIS is the pope who changed the sabbath to Sunday. What really happened? Well, it’s uncertain whether or not this actually did happen. But let’s assume it did happen. 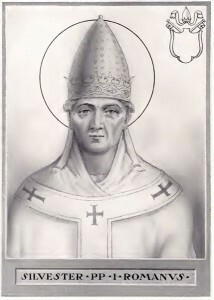 What Pope Sylvester saw around him was a 7-day week with days named after pagan gods or planets. Sunday, Monday, Tuesday, Wednesday, Thursday, Friday, Saturday in modern English. In Latin: Dies Solis, dies Lunae, dies Martis, dies Mercurii, dies Iovis, dies Veneris, dies Saturni. 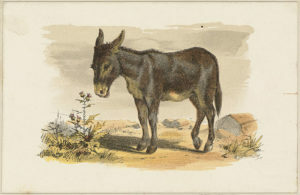 He supposedly decided that this was unsuitable for Christian usage, and proposed that they be named according to their religious significance for the two weekend days (Dominica and Sabbatum), and simply “weekday 2” to “weekday 6” for the weekdays, or “feria secunda” to “feria sexta” in Latin. By this time, the term “Lord’s Day” was well established in Latin and Greek as the name for Sunday in Christian circles. In Greek, but not Latin, the day before the sabbath retained the biblical term “Παρασκευη“, or “Preparation day” in preparation for the sabbath (see John 19:42). But you’ll still find the Adventist who doesn’t comprehend what is being described, and blabs on about how the pope “established the feriae” as if it means anything intelligent. Before we move on, it’s worth noting that, for the most part, this system of naming days never really took hold. A few Romance languages today use it. 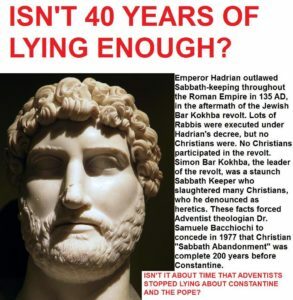 Also worth noting is that in most Romance languages not using pagan names for days, the name of the 7th day of the week is a derived term from the Latin “Sabbatum” – and speakers of these languages aren’t fooled by the Adventist claim that the sabbath was changed to Sunday – their own language calls the 7th day of the week “sabbath“. Dishonest Adventists make a full blown papal mountain out of a small localised molehill. Adventists produce canon 29 from the decisions made at the Council of Laodicea, and then pretend that this is an official Catholic and/or papal decree. It’s not. The council was a local council held by 30 local Catholic bishops in what is modern day Turkey. 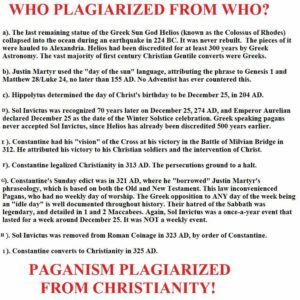 It had nothing to do with Rome or the papacy. No pope attended. No pope sent delegates. It was a local synod convened to solve several local problems. This is hardly an official decree of the Catholic Church. Canon 29 was simply a decision regarding a local practice, where Judaising sects had affected local Christians. It was a decision about practice, not a dogmatic degree about doctrine. But the dishonest Adventists won’t tell you that, because they rely on misinformation to support their beliefs. That means they can’t even allow themselves to acknowledge the facts. A dishonest Adventist pastor, John Carter, made a video where an actor dressed up as a Catholic bishop and read out a list of statements. Gullible Adventists still pass this on as real. The whole thing has been debunked, and has embarassed Adventist leadership. Never mind all the nonsense about Pope Francis being about to institute a national Sunday law in the United States of America (duh!) … and Adventists made the same claim about the popes before him, and it never happened, and they’ll do so again for the next pope … some audacious (and dishonest) Adventists concocted a story about an imaginary brother of Pope Francis who, they claim, is an Adventist. Fake news! Adventists have made up a papal title that adds up to 666. They pretend it’s real. But it’s not. What is a fact that Adventists won’t tell you is that the name of their prophetess, Ellen White, actually does add up to 666. The following is a series I’ve written on the Vicarius Filii Dei myth. In time I may add further sections above, or create more posts dealing with additional fake facts. These are the core I’ll begin with. Adventism is based on dishonest history taught by their prophetess, Ellen White. Because it was taught by their prophetess, it is extremely hard for many Adventists to abandon the fake history they have been taught. Seventh-day Adventism is an inherently anti-Catholic religion. To abandon their anti-Catholic claims, they would have to abandon their prophetess. By abandoning their anti-Catholic claims, they would lose all their “evidence” against Sunday observance. If they lost that, they’d quickly lose the sabbath, and along with that, their identity. They’d become normal Christians. And that they do not want.